The Ukrainian crisis is important in itself, but the behavior it has elicited from Germany is perhaps more important. Berlin directly challenged Ukraine’s elected president for refusing to tighten relations with the European Union and for mistreating Ukrainians who protested his decision. In challenging President Viktor Yanukovich, Berlin also challenged Russia, a reflection of Germany’s recent brazen foreign policy. Since the end of World War II, Germany has pursued a relatively tame foreign policy. But over the past week, Berlin appeared to have acknowledged the need for a fairly dramatic change. German leaders, including the chancellor, the president, the foreign minister and the defense minister, have called for a new framework that contravenes the restraint Germany has practiced for so long. They want Germany to assume a greater international role by becoming more involved outside its borders politically and militarily. For Berlin, the announcement of this high-level strategic shift comes amid a maelstrom of geopolitical currents. As the de facto leader of the European Union, Germany has to contend with and correct the slow failure of the European project. It has to adjust to the U.S. policy of global disengagement, and it must manage a complex, necessary and dangerous relationship with Russia. A meek foreign policy is not well suited to confront the situation in which Germany now finds itself. If Germany doesn’t act, then who will? And if someone else does, will it be in Germany’s interest? The latter is perhaps the more intriguing question. Such a reconfiguration shows that Germany has its own national interests that may differ from those of its alliance partners. For most countries, this would seem self-evident. But for Germany, it is a radical position, given its experience in World War II. It has refrained from asserting a strong foreign policy and from promoting its national interest lest it revive fears of German aggression and German nationalism. The Germans may have decided that this position is no longer tenable — and that promoting their national interests does not carry the risk it once did. The timing of the announcement, as Ukraine’s strategic position between Russia and Europe continues to make headlines, was not coincidental. While the timing benefited Germany, it would be a mistake to ascribe too much importance to Ukraine itself, particularly from the German perspective. That is not to say Ukraine should be discounted entirely. As a borderland between the European Peninsula and Russia, its future potentially matters to Germany — if not now then perhaps in the future, when unexpected regional realities might show themselves. Ukraine is an indispensable borderland for Russia, but it has little value for any modern power that has no designs against Russia. It is one of the gateways into the heart of Russia. A hostile power occupying Ukraine would threaten Russian national security. But the reverse is not true: Ukraine is not a primary route from Russia into Europe (World War II is a notable exception) because the Carpathian Mountains discourage invasion. So unless the Germans are planning a new war with Russia — and they aren’t — Ukraine matters little to Europe or the Germans. The same is true in the economic realm. Ukraine is important to Russia, particularly for transporting energy to Europe. But outside of energy transport, Ukraine is not that important to Europe. Indeed, for all that has been said about Ukraine’s relationship to the European Union, it has never been clear why the bloc has made it such a contentious issue. The European Union is tottering under the weight of Southern Europe’s enormously high unemployment rate, Eastern Europe’s uncertainty about the value of being part of Europe’s banking system and currency union, and a growing policy rift between France and Germany. The chances that the Europeans would add Ukraine to an organization that already boasts Greece, Cyprus and other crippled economies are so slim that considerations to the contrary would be irrational. The fact that Ukraine is not getting into the bloc makes German policy even harder to fathom. During the Orange Revolution, U.S.-led Western powers openly funded opposition groups in the former Soviet states, threatening Russia’s strategic interests to the point that it had to eventually invade Georgia to show the consequences of Western meddling. Over the past month, Germany has been behaving similarly, albeit to a smaller degree: opening partisan ties and giving relatively low-cost financial and rhetorical support to opposition groups that can irritate Russia without actually causing an immediate break with Moscow. For the past decade, Germany could not afford to alienate Russia, which Berlin thought could be the answers to some of Germany’s problems. It could reliably supply relatively cheap energy, it was a potential source of low-cost labor, and it was a potential destination market for German exporters looking for alternatives to stagnating EU markets. Diplomatically, Moscow could have become a close ally and strategic partner as erstwhile allies appeared to be growing increasingly hostile to Germany. 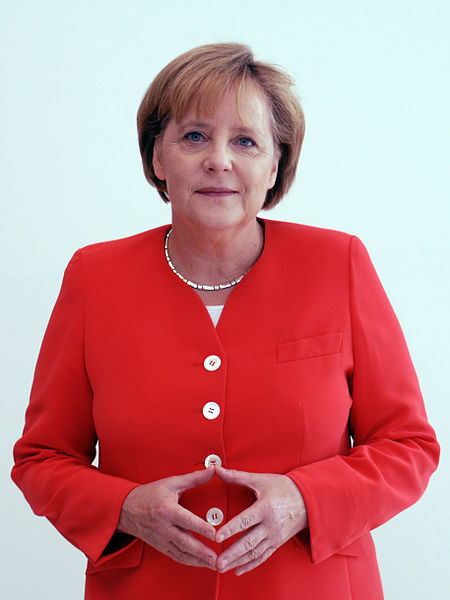 Relations with the United States were tense ever since Berlin refused to participate in the 2003 U.S. invasion of Iraq, and Chancellor Angela Merkel’s support for EU-wide austerity measures strained Germany’s ties with Southern Europe and France. This conflicts with Germany’s strategic goals. Berlin’s core imperative is to preserve its economic power, which is highly dependent on exports. The European economic crisis has caused consumption to falter in the European Union, leading Berlin to search for export markets further afield. While it has had some success in China and the United States for certain industries, it has not been able to shed its overwhelming dependence on European markets as a general destination for its goods. Thus, Germany’s only possible course of action is preserving and eventually reinvigorating the free trade zone in Europe. Russia’s resurgence in Central Europe has concerned EU members in that region. On the surface, the Germans were prepared to live with that resurgence even though it appeared to threaten to unravel the bloc. Poland, the Czech Republic and Slovakia are indispensable components of the German industrial supply chain and a source of relatively cheap skilled labor. That they should remain in the German sphere of influence is a non-negotiable position for Berlin. These issues are not new, but until now Germany had been constrained in how it could establish firm boundaries with Moscow. Berlin believed its dependence on Russian energy was a vulnerability that Russia could exploit if it chose to. In addition, it was concerned about Russia’s ability to wrest Central Europe from EU control. In a worst-case scenario, Germany would end up with a fragmented Europe, a distant United States and a hostile Russia. The fact that Germany actively supported opposition groups in Ukraine, particularly in the absence of a pressing strategic imperative to do so, is a sign that something has changed in Berlin’s calculus toward Russia. It seems as though the German government has determined that Russia is facing major challenges at home; that its position in Europe is weaker than it appears; that the risk of energy cutoffs are minimal; and that there are no long-term economic benefits to an economic relationship with Russia that goes beyond energy trade. That last point cannot be overstated. Russia is poised to remain the most important supplier of energy to Europe, and while the dependency runs both ways — Europe is Russia’s largest customer — Germany will make sure the flow of energy continues unimpeded. Germany’s talk of a new, more assertive foreign policy that relies more heavily on its military is, however, not solely linked to concerns over Russia or the United States. Germany has accepted that its only option is to rally Europe but as the past six years have shown, it has had limited success on the economic front. The European Union is an economic entity, but economics has turned from being the binding element to being a centripetal force. Either something new must be introduced into the European experiment, or it might come undone. Berlin believes that holding the European Union together requires adding another dimension that it heretofore has withheld in its dealing with the bloc: military-political relations. Standing up to a weakening Russia will appeal to Central European nations, and taking a more active role overseas would endear Berlin to Paris. Germany’s allusions that it would expand its international military operations, particularly in Africa, is a clear nod to France, which has consistently expressed its desire for a deeper military and political partnership with Germany. Notably, the drive to bring Germany closer to France in the short term could create tensions between them in the long term. Last week’s summit between British Prime Minister David Cameron and French President Francois Hollande was a reminder that France and the United Kingdom may have extremely different views regarding the European Union but still see each other as a military partner and, more important, as a counterweight to Germany. At first, Germany’s actions seemed confusing and uncharacteristic. But they become more sensible when you consider that that Berlin is looking for other tools to hold the European Union together as it re-evaluates Russia. So far, Germany’s announcement has been met positively, mainly outside Germany, but the tension that a stronger and more assertive Berlin exerts on the European continent and the global stage are sure to come to the fore again. For now, however, Merkel has no choice.